The Fellowship was fortunate enough to obtain a copy of IT’S TOKYO, CHARLIE BROWN from KaBOOM Studios. The story and pencils is by Vicki Scott, inks by Paige Braddock, and colors by Nina Kerka with Mirka Andolfo. Charlie Brown pitcher and captain of his baseball team – possibly the worst in America. However, they have received an invitation to be a part of The Young Ambassadors Program and play an exhibition game in Tokyo, Japan. Upon hearing this, Peppermint Patty talks herself and Marcy on to “Chuck’s” team and goes to Japan as well. While everybody else takes in the sights and culture of Tokyo, Charlie Brown is concerned about being a failure in THIS country as well. Will the team find a way to win, or will they just lose again? This is a fun little tale that can be enjoyed by all ages. Vicki Scott writes a very entertaining tale that is worthy of the late Charles Shultz. Any Peanuts fan should pick this book up. This would also make a great introduction into comics for the young ones. 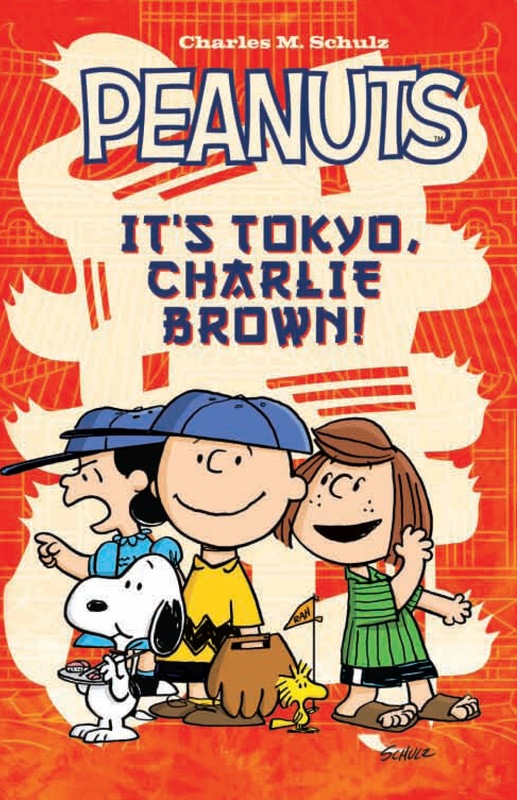 IT’S TOKYO, CHARLIE BROWN is in stores now and available at www.kaboom-studios.com.